Sanjay Kandari has professional experience of more than 8 years in the field of energy efficiency, climate change and renewable energy. He looks after UNFCCC accreditation requirements and responsible for overall management of climate change division at KBS. He is very dedicated person having in depth knowledge of the core subjects and has successfully completed 130+ GHG assignments in different countries across the world. Apart from the ‘Climate Change Services’, he is responsible for energy audit services to industrial clients.Sanjay holds the M.Tech. degree in Energy Management and also a ‘Certified Energy Manager’ from Bureau of Energy Efficiency. 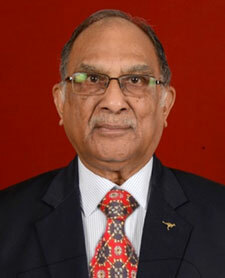 Previously, he was associated with TUV India as CDM Assessor for GHG projects Validation and Verification. Chetan Swaroop Sharma has professional experience of more than 6 years in the field of energy efficiency and climate change. He is a qualified Team Leader and internal technical reviewer for validations and verifications offset projects under CDM, VCS, Gold Standard (GS) and actively been involved in the validation and verification of more than 100 offset projects. He has completed his M.Tech. in Energy Management and M.Sc. in Physics. He is also a BEE certified Energy Auditor (EA-17745) and certified ISO 14001 Lead Auditor. Previously, he worked with TUV Rhineland as GHG Assessor. Col. BC Halan has been associated with KBS since very inception and has contributed significantly in development and finalization of various systems. He is closely associated with KBS planning and development of business strategies and alliances. He has attended number of training program in various fields such as climate change, CDM projects validation & verification functions, quality, environment, OHSAS and food safety management systems, third party inspection and product certification. He is a qualified lead auditor for quality, environment, OHSAS and food safety management systems. He is a resource person for developing and delivering training program and undertaking important auditing assignments. He holds M. Tech degree in electric (Electronics) from IIT Delhi and has written a number of articles published in Quality World, India & U.K. He has been associated with the Japan Association of Management for whom he translated 8 books on Japanese Management from English into Hindi language. He retired from Army after along and meritorious 35 years service and has been associated with the industry since last 40 years. He has successfully completed a number of UNDP projects in the field of quality and environment in SAARC countries under the aegis of FICCI. 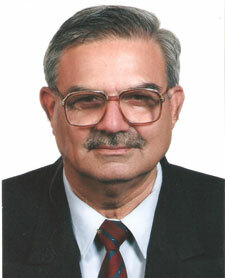 Brig H.K Trivedi has been associated with KBS since its very inception. He has contributed significantly in the development and finalization of various systems. He is closely associated with KBS planning and development of certification processes and outcomes. He has attended number of training program in various fields such as climate change, quality, environment, OHSAS and food safety management systems, third party auditing. 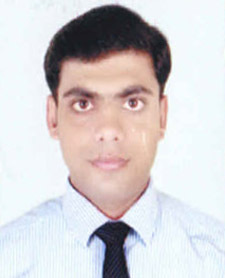 He is a qualified lead auditor for quality, environment, and OHSAS management systems. He is a resource person for developing and delivering training program and undertaking important auditing assignments. He holds MSc. Degree in Defense Sciences from Madras University and has written a number of papers on quantification of measures of effectives in non-digital outputs, use of science in technology in chemical and biological warfare and star wars. He has also been associated with All India Management Association (AIMA). He retired from the Army after a long and meritorious 35 years’ service. 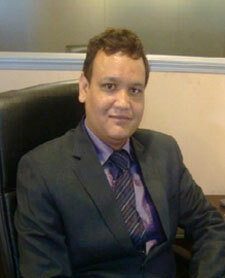 He has been associated with the industry since last 20 years as consultant/trainer. He has successfully completed a number of UNDP projects in the field of quality and environment in SAARC countries under the aegis of FICCI. Mr. M.P. Kanal is working as Regional Head of KBS Certification Services Pvt. Ltd., based at Bangalore, and has 20+ years of experience in water, environment and energy sector projects. 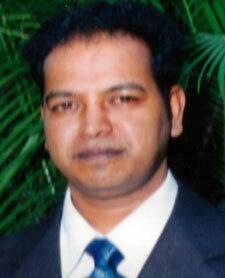 He is qualified Technical Reviewer, CDM Assessor, GHG Auditor as per the requirements of UNFCCC. Currently he is involved in business promotion and execution of Climate Change, Solar, Energy and Environmental related projects. In the last 10 years he has validated many projects globally for CDM, WCD, Gold Standard and VCS cutting across for various sectors & methodologies as per UNFCCC norms in various stages of Validation. Prior to that, he was in the forefront in development of baseline, project design documentation and project concept note for Clean Development Mechanism (CDM) projects in India. In early part of his career he had been involved in feasibility and detailed engineering studies of technical, environmental and design solutions for various multilateral and bilateral agency projects of World Bank, DfID, European Commission, KfW and also other bilateral funding agencies. He had been rightly selected by the Swedish Foundation for International Co-operation in Research and Higher Education for fully funded STINT Scholarship for under taking Masters Studies in Sweden in Water Resources. 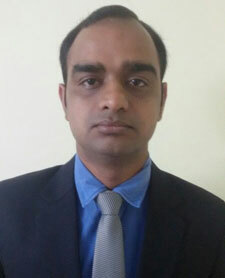 Mr. Ambrish Kumar is working as Manager-Business Development of KBS Certification Services Pvt. Ltd., based at Bhopal, and has 13+ years of experience in quality management systems. He is a qualified QA inspector as per the requirements of ISO. Currently he is involved in business promotion and execution of QMS, Solar, Energy and Environmental related projects. Prior to that, he was in the Indian Air Force as a technical supervisor and a level III inspector in Air HQs, New Delhi for quality audits and recommendations. Over 170 inspections of Air Force units were under his belt. Before taking up these assignments with KBS he was manager in Dainik Bhaskaer Media Group. The implementation of QMS in organization took the company in newer heights. He is core professional in the training, implementation and audits for the ISO certificates of quality management systems.